Venezuela's chief prosecutor, Luisa Ortega, has opened an investigation into claims of fraud during Sunday's controversial election for a new assembly to rewrite the constitution. 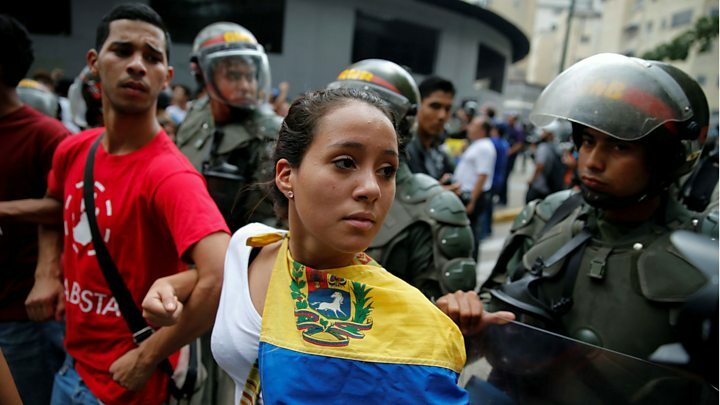 Ms Ortega, a fierce critic of President Nicolás Maduro, called for an independent audit of the vote. The move came just hours after the British-based company, Smartmatic, that supplied the voting system said that the turnout figures had been inflated. Mr Maduro has dismissed the claims. Ms Ortega said she had appointed two prosecutors to investigate four out of the five directors of the National Electoral Council (CNE) "for this very scandalous act that could generate more violence in the country than what we have already experienced". Critics say the council is stacked with government loyalists who do the president's bidding. But one of its five directors, Luis Rondón, has been openly critical of the constituent assembly, which President Maduro convened. Speaking on Wednesday, he said that the allegations made by election technology company Smartmatic backed up the concerns he had raised about failures in the run-up to the vote. "This election was different from all others carried out by the National Electoral Council," he said before demanding that "the results should be transparent for all Venezuelan people". He also pointed out that the full results still had not been published and that the council's website was showing an error message. Mr Rondón called on his fellow electoral council directors to suspend the swearing in of the constituent assembly members until a full audit had been carried out. However, this is unlikely to happen as the head of the electoral council, Tibisay Lucena, has defended the vote and its results. Just hours after Mr Rondón's statement, Ms Ortega also cast doubt on the legality of Sunday's poll. "We are facing an unprecedented, serious incident that represents a crime," she told CNN. However, it is unclear at this point if the investigation is likely to proceed. Previous attempts by Ms Ortega to challenge executive decisions have been blocked and she has been fiercely attacked by government loyalists. 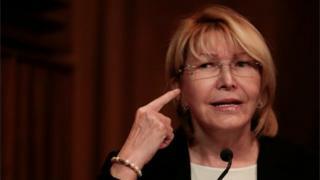 A close ally of Mr Maduro, Jorge Rodríguez, said it was only a matter of time until she would be removed from her post. "She is the past," said Mr Rodríguez, who is among the socialist party loyalists to be elected to the constituent assembly.